Item # 271720 Stash Points: 1,999 (?) This is the number of points you get in The Zumiez Stash for purchasing this item. Stash points are redeemable for exclusive rewards only available to Zumiez Stash members. To redeem your points check out the rewards catalog on thestash.zumiez.com. 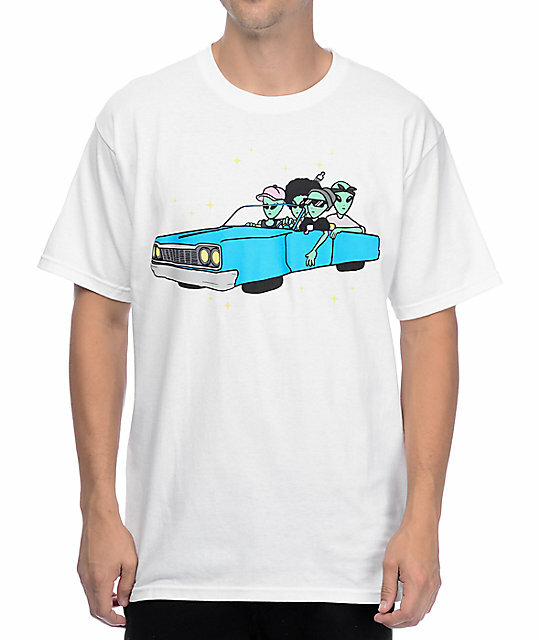 The Galaxy Boyz t-shirt for guys in the white colorway from A-Lab will take your style to a whole new dimension. 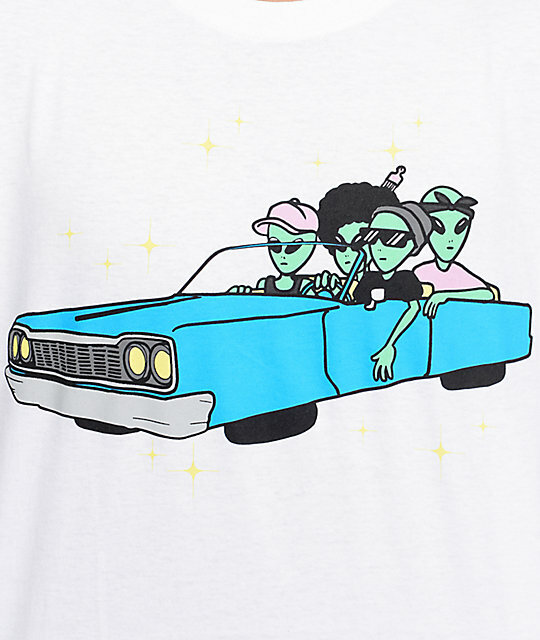 Crafted with a durable pure cotton construction and tagless neckline for long lasting comfort, this crew neck tee features a front graphic of an alien posse cruising around in a classic car. Galaxy Boyz t-shirt for guys by A-Lab.